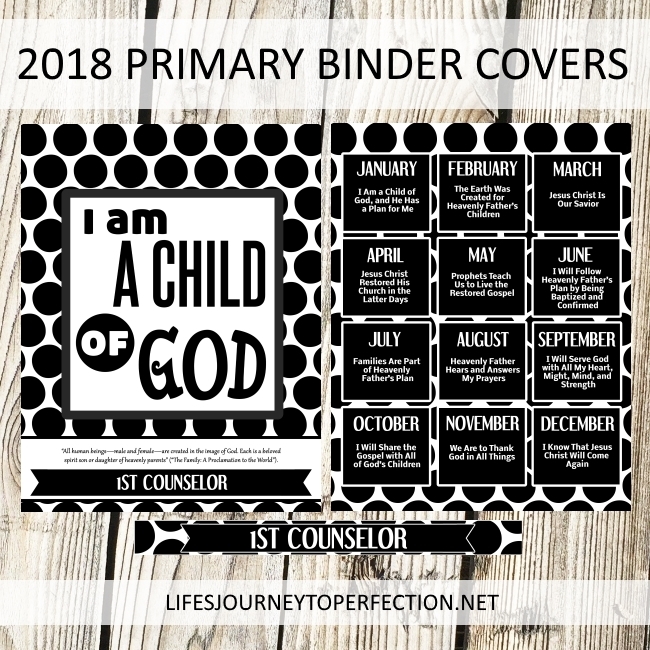 This year I decided to design some binder covers that might be a little bit easier on the budget. It's cheaper to print in black and white. Some it can also be copied on the church library's copy machines too. Plus I kind of like the black and white design! First up, Binder covers!! There is a personalized binder front cover and spine insert for each of the presidency members as well as classes. There is also a back cover which has the theme for each month. Click the Free Download button below to print the pages. Line sides with black wrapping paper or black butcher paper. Find the banner and the posters below. Banner you can either tape to the string, or punch holes in each corner and string onto string. Bakers twine would work great. Cut out some white circles out of card stock and make dashes with a permanent marker. 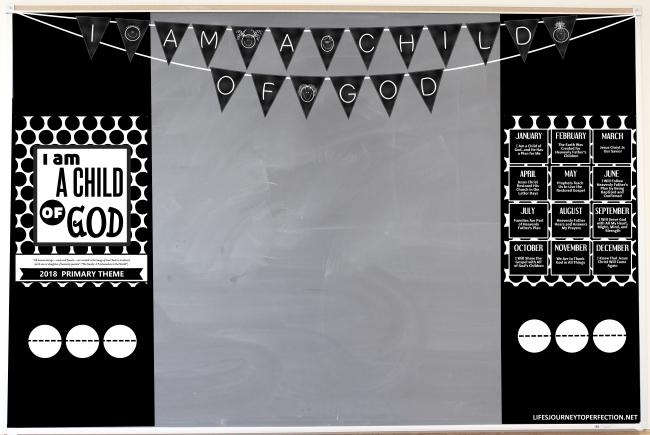 You could also add black and white pictures of the Savior with children, instead of the circles, or even just black and white photos of the primary children. 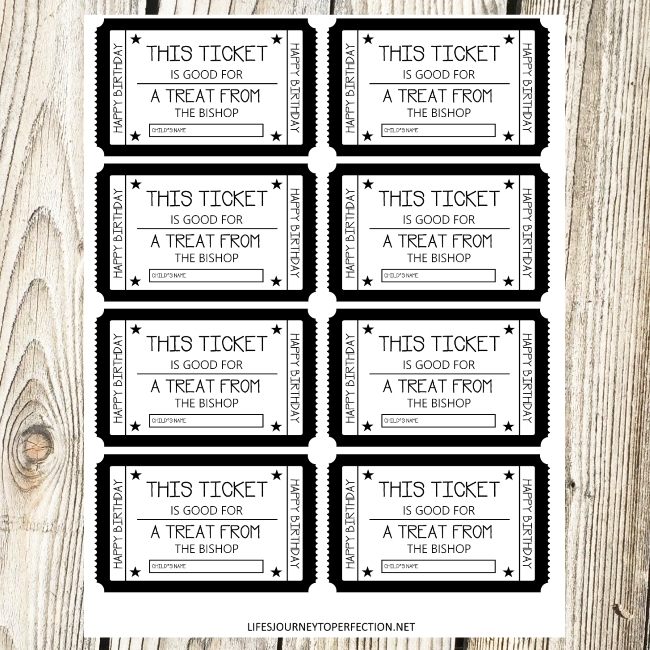 Birthday Coupons: I love birthday tickets, because its a chance for the primary children to shake hands with the bishopric and get a little treat :) Click HERE to print. I've also added to the printable one that says gift instead of treat, in case you have something other then candy to give them. Another Birthday idea that the children really liked, was we had a birthday box. In their box was little toy trinkets and candy. When it was their birthday they got to come up and choose something out of the Birthday box. 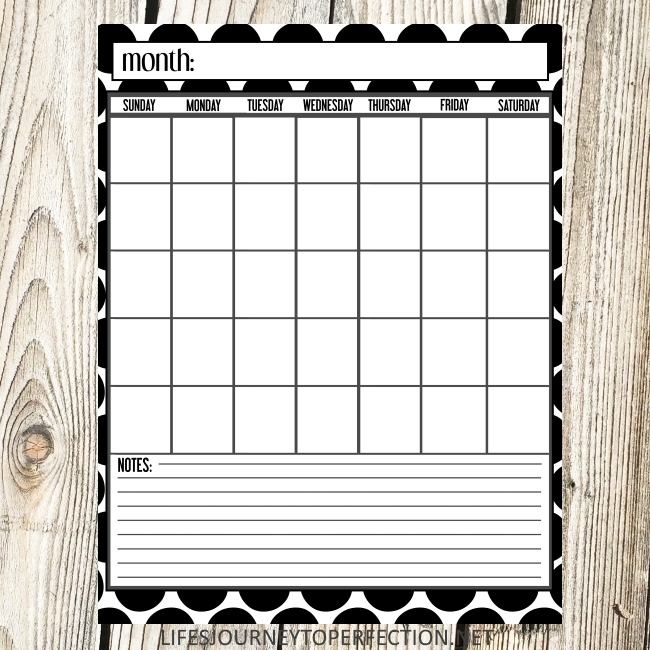 Calendar: To help you and your presidency stay on the same page. 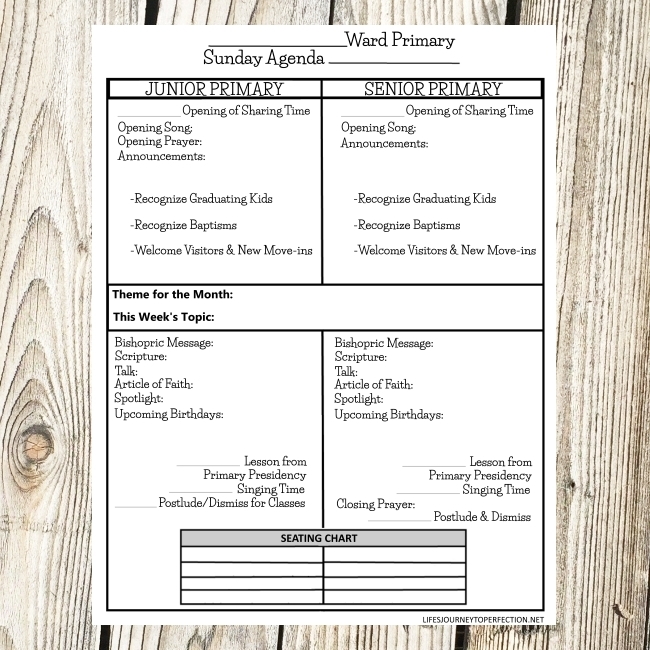 Put birthdays, visits, conducting and sharing time schedule all on one page. Click HERE to print. Sunday Schedule: This paper keeps everyone on track. 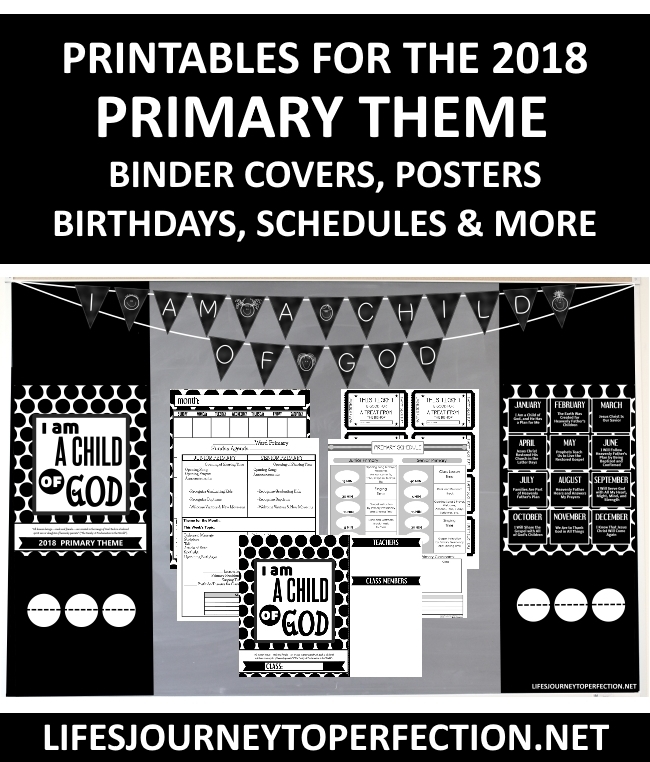 Place in each teachers and presidency member's binders. 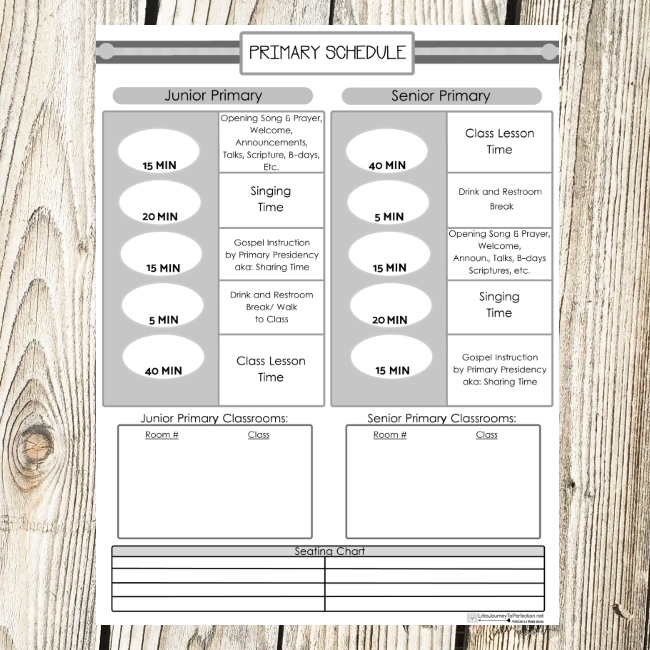 I have included a blank schedule, one with singing time firs and one with lesson time first. Choose which one best fits your primary. Click HERE to print. Conducting Sheet: I love conducting sheets!!! On the lines you could write or type in the time allotted for each thing. For instance if you had 9:00 church then, Opening of Sharing Time would be 10:15-10:30. If you have you lesson first then lesson from Primary Pres. would be 10:30-10:45 and Singing Time would be 10:45-11:05 for Junior Primary. 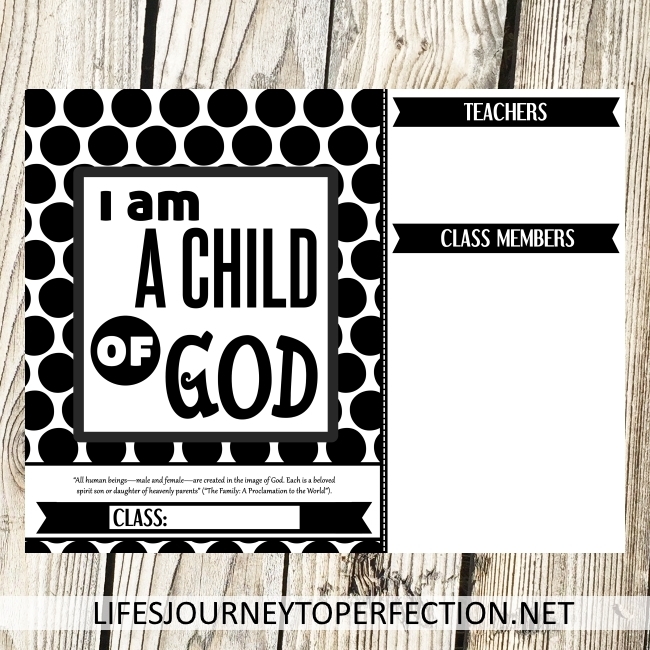 I have included both printables, Singing time first and then one with the Lesson first. Choose whichever your primary has decided to do. Click HERE to print. If there is anything else, you'd like to see on here, please leave me a comment or send me an email. Best wishes this year to your primary!! This topic is one of the most important things that they can understand, that they truly are daughter and sons of a loving Heavenly Father.